Are you a student of the Word? ​This is a must study! 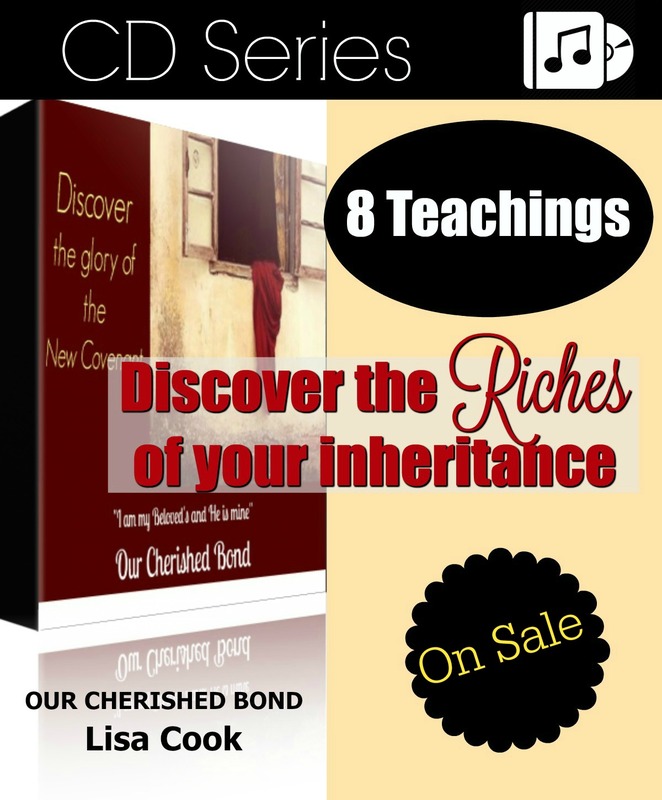 Do you know the RICHES of your inheritance? Do you walk in the strength and security of the bond of covenant? In this in-depth, encouraging, 8-Lesson series by Lisa Cook, you will discover the beauty and greatness of our New Covenant Blessings! Discover that Christ has done more than you imagined! Week One: The significance of covenant- You are richer than you ever knew! Week Two: The Sacred Bond-You are treasured and cherished! Week Three: The Great Exchange-You have been clothed in a royal robe! Week Four: The backing of covenant-You have an ALLY! Week Five: The strength of covenant-Your weakness for His strength! Week Six: Covenant Authority-You have His Name! Week Seven: A bond in blood-You have a friend closer than a brother! Week Eight: The "Hesed' of covenant-You have a seat at the King's table!